We are only one episode into Watch What Happens Live in 2018 and this year really started out with a bang. 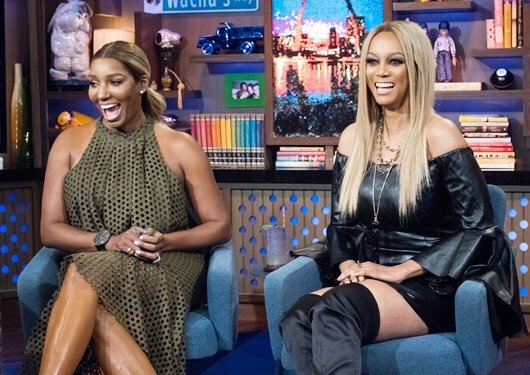 Andy Cohen had NeNe Leakes and Tyra Banks in the clubhouse. NeNe did not hold back on the shade, tea, accusations, and everything in between. Yes, it was great to have Tyra in the house, but NeNe was the real star of the show. I’m sure Porsha Williams, Kim Zolciak, and Sheree Whitfield did not enjoy the episode. Even if they didn’t watch it, NeNe had some noteworthy quotes about all of them that I’m sure they’ll have to address at some point. 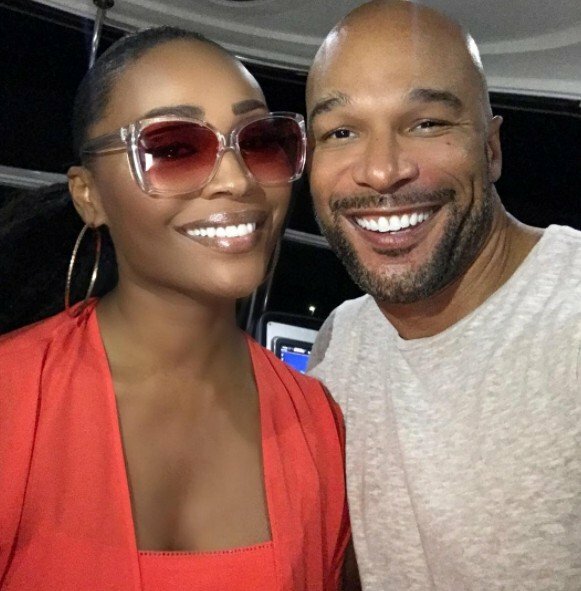 Real Housewives of Atlanta Star Cynthia Bailey Has A New Man? Maybe! Although Cynthia Bailey has been slaying it on Real Housewives of Atlanta with her hairstyles and eye-wear line, her personal life hasn’t exactly been thriving. After a few seasons of a rocky relationship with ex Peter Thomas, the two finally divorced. Then they were hanging out a lot (as “friends”) and getting a long better than ever before, which was super confusing to watch. Now it seems like Cynthia has finally put the Peter era behind her because she has a new man….allegedly. 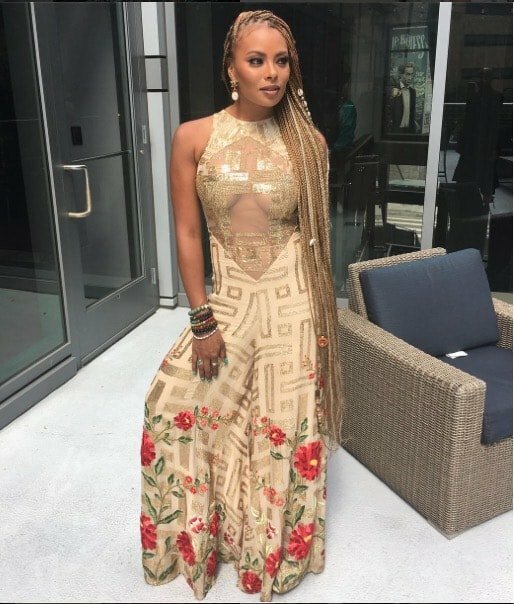 Is Former America’s Next Top Model Winner Eva Marcille Joining Real Housewives Of Atlanta?! Just when we thought Real Housewives Of Atlanta was only bringing back oldies but goodies like NeNe Leakes, come rumors that casting is in full force and at the top of the list is former America’s Next Top Model winner Eva Marcille! According to sources producers have asked Eva to do some test filming with the cast to see how she fits in, re: can she cause drama or not?! Apparently they’re bored with the directions of Cynthia Bailey and Porsha Williams‘s storylines, and Bravo is considering replacing at least one of them with someone fresh, new, and young. VH1 is bringing back a lot of your favorite reality shows for even more seasons of craziness. 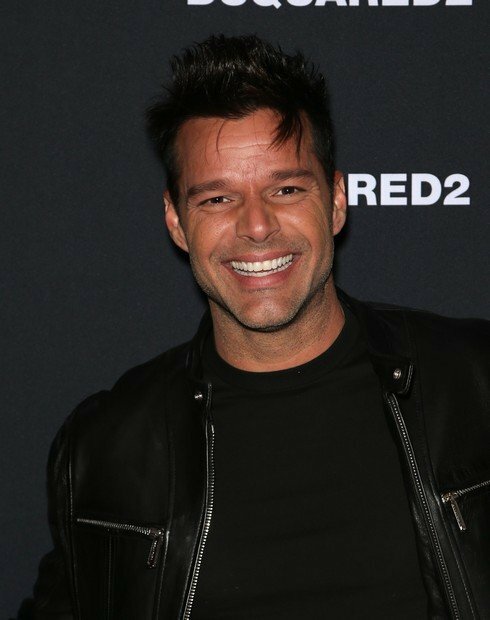 Not only that, but Ricky Martin is set to have his own show as well. There are no specifics on the premise, but Ricky is in good company with the other famous people who took their lives to reality TV on the network. Hopefully there will be more info about Ricky’s new show at some point soon. Patti Stanger doesn’t do things small or low-key. The Millionaire Matchmaker star can’t just throw a typical birthday party and call it a day – she has to be an overachiever. SheKnows.com threw Patti a birthday party to celebrate not only her birthday, but the launch of her new website, PattiKnows.com, her adoption plans, her new boyfriend, and who knows what else! A handful of celebrities turned out to party with Patti and her crew. Above is Alexis Bellino of Real Housewives of Orange County. Below you’ll find birthday girl Patti Stanger, Vicki Gunvalson, Natalie Nunn, Natalie Getz, and more! Vicki brought along Brooks Avery and his new teeth. You can see the happy couple here. And you can also take a peek at Patti’s new boyfriend that she met online. CLICK THE CONTINUE READING BUTTON FOR MORE PHOTOS FROM THE PARTY! Tyra Banks is cleaning house on America’s Next Top Model! The host and executive producer gave walking papers to photographer Nigel Barker, runway coach J. Alexander and creative director Jay Manuel! She confirmed news of the major overhaul on her Facebook page. Rumor has it they were just told yesterday that their contracts wouldn’t be renewed for next season. Wow, that’s a big shakeup! I can’t wait to see who she replaces them with! TELL US – ARE YOU GLAD TO SEE THEM GO? WHO DO YOU THINK SHOULD REPLACE THEM? ARE YOU STILL WATCHING THE SHOW AFTER ALL THESE YEARS?